Last month we wrote sonnets on any subject. This month Laura challenged us to write in response to those sonnets in the form of a tanka. Tanka is a form of Japanese poetry that has been practiced for more than 1000 years. Tanka is generally defined as a poem composed of 31 syllables in a 5-7-5-7-7 format, though varying syllable lengths are allowed as long as the general from of short-long-short-long-long is followed. Most tanka focus on a single event of some significance. My challenge was to respond to Laura's poem about the comfort offered to us by animals, in this case, a horse named Mae. Laura's poem was so vivid, I could see myself approaching Mae in the cold and snow, eventually taking in her warmth. You can read Laura's poem at Mae's Wall of Warmth. I generally do better with these monthly exercises when I have a form and/or topic, and this time I had both. Honestly, if you look at these pictures of me from childhood, you'll understand why I was thrilled to write in response to Laura's poem. This poem brings back so many happy memories. from barn to field and back again. Here's a picture of my brother and his pony, and one of me and Midnight. You can read the tanka written written by my poetry sisters at the links below. The summer of 1970 my family lived in Florida while my father took graduate classes. 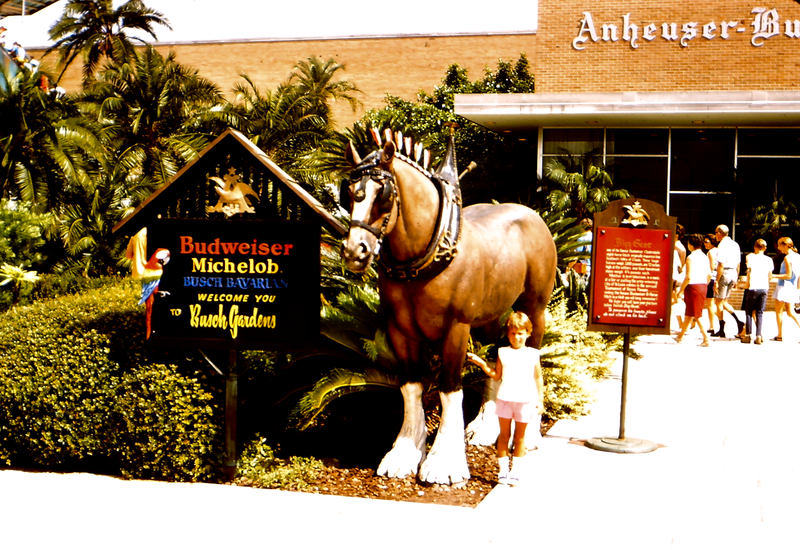 My guess is that we were at Busch Gardens in Tampa, though I don't remember visiting. I do remember the swimming, the sun, and my 5th birthday, all of which occurred away from home. 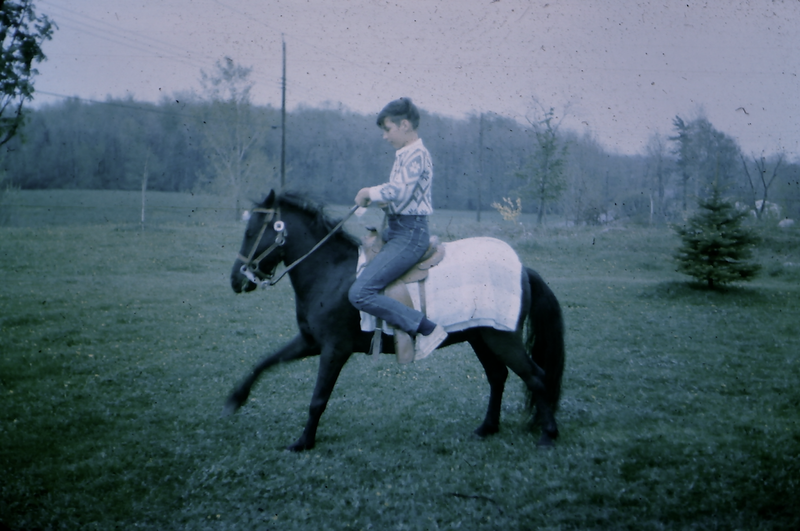 I still adore horses, so I was quite happy to write in response to your poem! And that would be Tricia, not Tanita! I have been typing wrong names for 2 days now! Sorry! I love the steady beauty of your tanka. Something about that "bridle-led" though---gets me right in the heart. It's that subtle connection between siblings, I think. And the back and forth...the idea that love continues. Ahhhhh. I adore the multiple pictures of you on stationery mounts which will only move through the will of your imagination... and one perfect little dandy on his pony... and then him sharing it. That ties in so nicely with the barn-to-field-and-back, that rocking motion returns to the rocking horse, and the cradle of little you. Beautiful. you handled it all perfectly! Lovely tribute to childhood memories of a horse and a brother! I must tell you that I read your poem first before looking at photos or reading the introductory text... and the first line leaped off the page: "Midnight haunts my dreams . . ." So many possibilities. Then I realized Midnight was a pony. Love this process. I would have wanted that poem to respond to also. Dreamed horse, my bike was my horse. 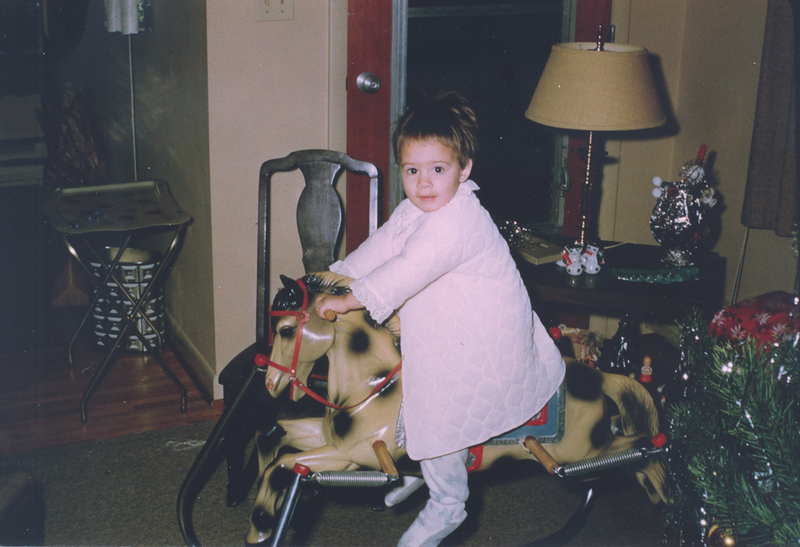 I finally got a horse after I was married, and we had a barn full! Ah! A beautiful poem. Even for one who has grown up with, and for many years, feared horses... You brought back those early days, before fear set in. Bridle-led is so nurturing, yet independent! I can see my sister and nieces and countless other farm visitors over the years, adamant about their independence - yet dad still unobtrusively holding on. I missed last Poetry Friday, so love going back and reading Laura's poem and now your response. 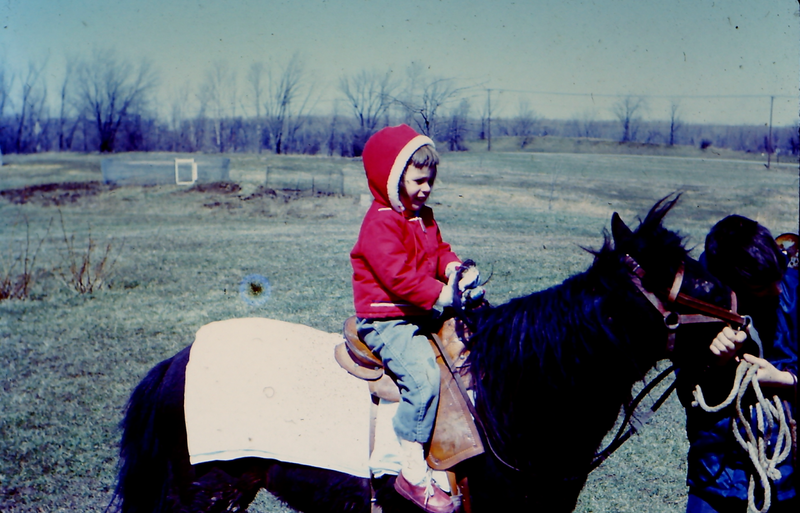 I rode all my life starting with a pony named Silver and love her "cold to warm", then your memories, Trisha, and "bride-led". Love the pictures, too. Awww...this is such a lovely poem to capture a treasured memory. Thanks for sharing your memories and your poem, Tricia. I was never a horse person, but there's something profoundly touching about those last two lines of your tanka.